The Battle of New York is over, but the war has just begun! S.H.I.E.L.D. is taking a vested interest in artifacts recovered from the cataclysm…but they're not the only ones! 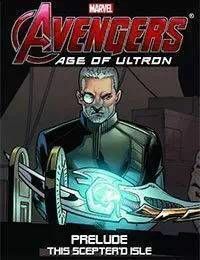 Dive deeper into the Marvel Cinematic Universe with this prelude to the upcoming film Marvel's Avengers: Age of Ultron in the stunning Infinite Comics style!